← What is Net Promoter Score? Many cities have been actively campaigning against Uber for various reasons in favor of the existing Taxi Cab networks. At times it’s resulted in Uber being blocked in some parts of the city, or some services (such as UberX), or being kicked out altogether. A significant drop in the rate of homicides [arises] after the introduction of Uber. The article also confirmed that educational institutions have yet to adopt click bait headlines. Disclaimer: This likely falls under nefarious behavior. I don’t condone breaking the law, and please note that you could be putting your Uber driver in jeopardy as well. However, there’s a moral dilemma when that is worth discussion. This trick works best when a small area (e.g. 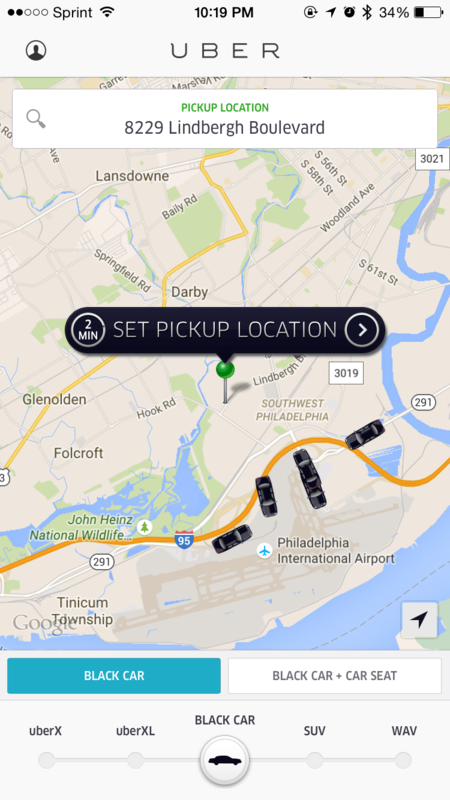 an Airport) has been blocked, or two nearby jurisdictions have different Uber policies (e.g. Kansas City, KS vs Kansas City, MO). You’ll launch the app and note a limitation. In this case, no UberX is available. Drag your pin and drop it outside the blocked area. 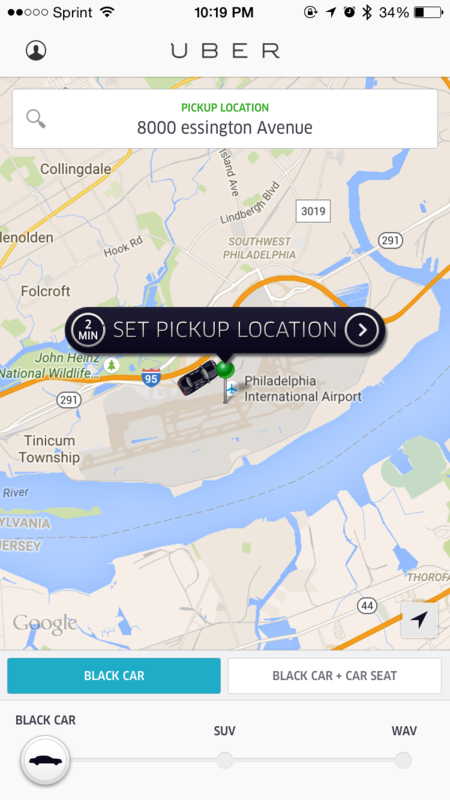 Notice below how UberX is now an option just a few miles north of the airport. Last, and most important, call your driver to give them the new location. Make sure to get their ok as well, as they might not feel comfortable picking you up in a blocked jurisdiction. As the 800 pound gorilla in the market, Uber takes the brunt of the bad press. Take the time now to setup accounts with other services like Lyft or Hailo so they’re ready when you might need them.